Kicking off summer with high octane, the Burleith summer picnic on June 17 saw a gathering of friends and neighbors that showcased a diverse, dynamic, and multi-generational Burleith (from babes-in-arms to members of the Greatest Generation). Click here for more photos and see for yourself! special guests ANC-2E chair Joe Gibbons, Mayor Muriel Bowser, and Councilmember Jack Evans. The Highlights—A free pre-picnic neighborhood tour by resident Dwane Starlin was the perfect lead-up to four hours of beautiful weather and fun; delicious food and drink from Rocklands and Town Hall (plus popcorn and Dolcezza gelato); activities for kids (including a new kids raffle thanks to an on-the-spot idea from Annika and Ingrid Russell); the popular Top Dog Contest; the beautiful smooth sounds of the Barry Gurley Trio; and special guests from all levels of DC government. apollo bested his canine competitors for 1st place. 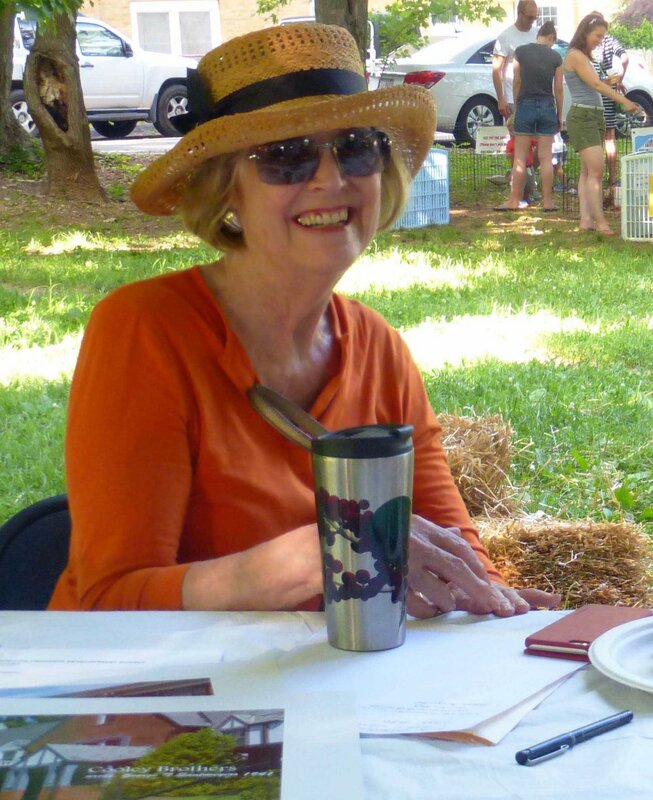 lenore rubino/realtor sponsored the petting zoo, face painting, and gelato. a neighbor takes a breather at one of the info tables. Our Supporters and Donors—Georgetown University, Town Hall, Rocklands Barbeque and Grilling Company, Lenore Rubino, Realtor, Hop, Cask & Barrel, Unleashed by Petco, Unum, Casolare Ristorante & Bar, Drybar Georgetown, Sprinkles Cupcakes, Glover Park and Burleith Farmers' Market and Community Foodworks, Yates Field House/Georgetown University, Palisades Vet Clinic, Glover Park Hardware, Linda Roth Associates, Inc., Ann Kenkel Interiors, Jetties, Surfside, and the Burleith Community Fund. Volunteers—Valentin and Elias Campeanu, Ann Carper, Carol Cavanaugh, Edie Cecil, Stacy and Rich Davis, Engine 5, Friends of Georgetown Neighborhood Library, GERMS, GU students Alex and Jason DePaul, Barry Gurley Trio, Walter Hillabrant, Jelleff’s Bob Stowers, Eric, Kay, Adam, and Max Langenbacher, Ed Levy, Kishan Putta, Richard Reed, Rob, Annika, and Ingrid Russell, Barb Scheeler, Dwane Starlin, Francis Steininger, May Vaughan, Erik, Emmanuelle, and Juliette Warga. gray and white t-shirts in adult and youth sizes are still available. email bell@burleith.org to order. 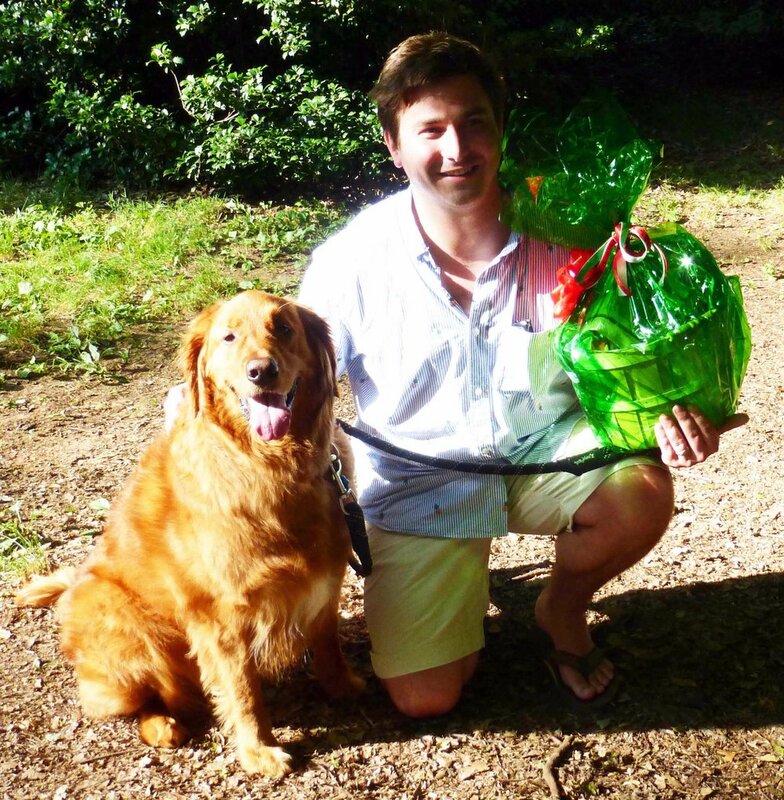 First place in the Top Dog Contest, sponsored by Unleashed by Petco with prizes donated by Blue Buffalo, Purina, and Nature’s Variety, went to Liam Shorrock’s Apollo, a golden retriever who performed the “gentle” trick. Olive, a Boston terrier owned by Justin Enck, earned second place for her effective “drop dead” talents. Third place went to Hazel, Julia Wander’s Jack Russell terrier puppy, for her ability to sit, lie down, and roll over on command. Other Happenings—Attendees also had the chance to learn, while relaxing, about various topics from tables sponsored by GU and Yates Field House, DC Water’s Clean Rivers project, Palisades Vet Clinic, Friends of Georgetown Neighborhood Library, the book Images of America: Burleith, and historic designation proponents. Not to be outdone, the interactive GERMS ambulance, Engine 5 fire truck, Squeals-on-Wheels petting zoo, and face painter Barbara Scheeler attracted excited swarms of the Newest Generation. The BCA thanks everyone who made the picnic a success—the BCA’s Liane Jones for spending countless hours with me on planning and running the events; our sponsors and donors (see below); and the numerous neighborhood and BCA board volunteers (see below) who set up and broke down everything, handled logistics, and performed so many other tasks. Special thanks to GU’s Chris Murphy, Cory Peterson, Catherine (Cat) Finnegan (the new Burleith representative from GU's Office of Neighborhood Life), and Emanuel Reid for donating time and vehicles for the event. Our community is a vibrant and special place because of neighbors like all of you. See you next year! there was plenty to do for young and old alike. Life-long Burleithian Charles Volkman is on the cover of Arcadia Publishing's Burleith, written by Dwane Starlin (left) and Ross Schipper (right). cat finnegan and cory peterson from GU's office of neighborhood life.